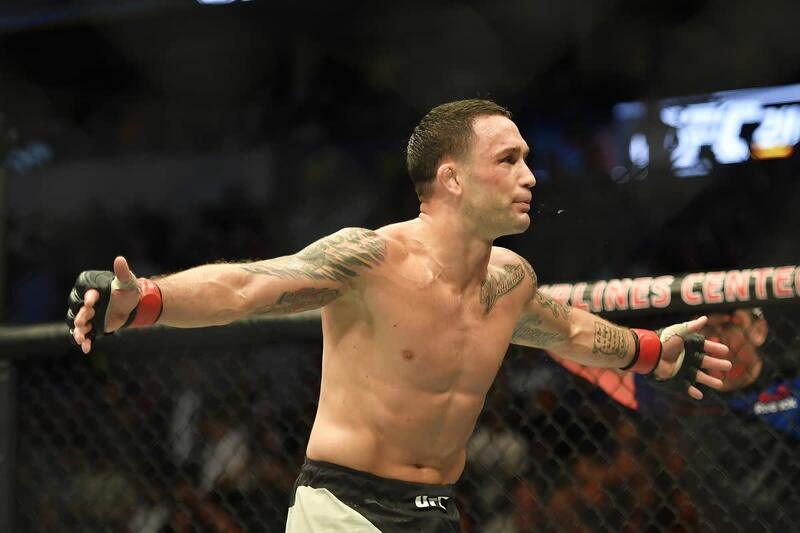 The UFC's year of shuffling around main events continued Friday as the promotion learned former lightweight champion Frankie Edgar tore his left biceps, forcing him to withdraw from the company's 25th anniversary show in Denver, CO, on November 10th. Stepping in for Edgar to face the "Korean Zombie" Chan Sung Jung on the FS1 show is Yair Rodriguez. ESPN's Brett Okamoto first reported the news. His colleague Ariel Helwani reported that Edgar will not require surgery and wants to return early next year. The 26-year old Rodriguez (10-2) was briefly cut by the organization this year due to issues with management, but resolved his problems with the promotion a few weeks later. He has been inactive since May 2017 when he lost a one-sided fight to Edgar and was supposed to fight Zabit Magomedsharipov in September but had to withdraw due to injury. Jung (14-4) has been out since February 2017 after a near four-year layoff. Once a big fan favorite for his fighting style, he suffered a major knee injury as well as military service that kept him relatively inactive over the past five years. The rest of the card features Donald Cerrone vs. Mike Perry, Raquel Pennington vs. Germaine de Randamie, Joe Benavidez vs. Ray Borg, and more.